As a parent, you’re always cheering on your children. As they compete in sports, pick up an instrument, struggle through their homework – you’re their biggest fan. Your summers might be spent at the ballpark, in a van traveling to soccer tournaments, on the bleachers listening to the squeaks from a basketball court. You’ll sit through hours of ballet recitals with a camera in front of your face. You’ll encourage them through the relentless sounds of the piano being practiced. It’s a great time as a parent, but a fleeting one as well. How long do you really have to be able to sit in these stands and cheer them on? What if they picked up a sport that you could do together, after their days of playing sports in high school or college are over? 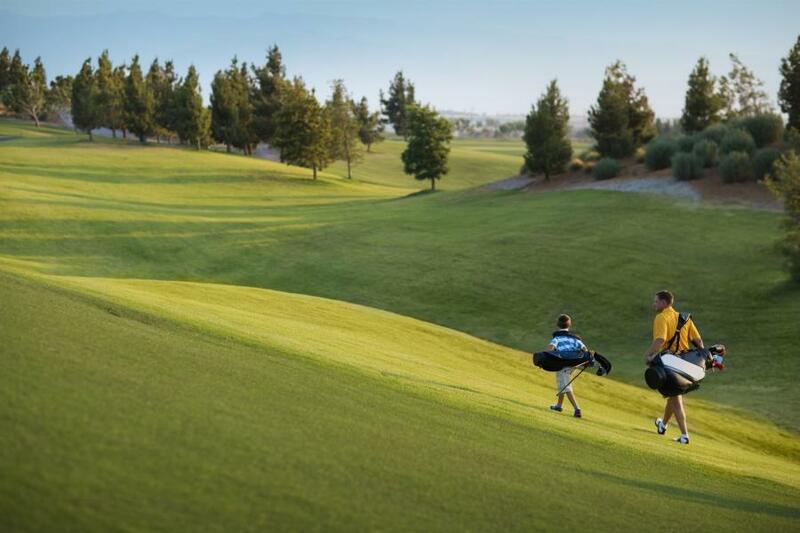 What if your daughter or son took up golf, and you were able to play together forever? What if you were both able to book a tee time and spend a day together on the course? What if you were able to do that with their children, too? My grandfather played golf until the day his hips and back said, “No more.” Until the day the Mississippi heat was too much to bare. He loved golf until the day he died, and it was something I watched him share with his children and grandchildren. It is a game that transcends generations. It is a game that endures. Juniors golf FREE, when playing with a paying adult. Juniors enjoy complimentary rental clubs all day. Juniors receive complimentary instruction when taking a lesson with a paying adult. *Juniors are considered to be 17 and younger. Get out of the bleachers and get in to the game.